Flow Cytometry Absolute Count Standard™ is a suspension of microspheres that are approximately the size of human lymphocytes (7-9μm) and are presented as a known concentration. They are internally labeled with multiple fluorochromes and the combination of dyes allows the beads to be excited by a common argon laser (488nm) and emit in the three standard channels of a flow cytometer (FL1, FL2, FL3).  Flow Cytometry Absolute Count Standard™ is intended for use as an internal counting standard. It is designed for use in the proper set-up of flow cytometers and cell counters and for the accurate enumeration of cells or particles. Absolute Count Standard™ is a trademark of Bangs Laboratories, INC.
McDonald, J.U. et al. (2011) In vivo functional analysis and genetic modification of in vitro-derived mouse neutrophils. FASEB J. 25 (6): 1972-82.